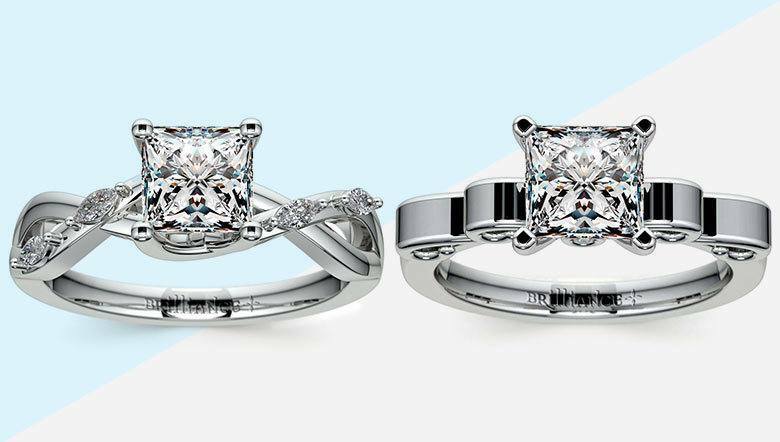 Are a Princess Cut and a Square Modified Brilliant the Same? Are a Princess-Cut Diamond and a Square Modified Brilliant the Same Thing? Purchasing a diamond for that special someone can be a daunting task. There are so many aspects to consider–size, shape, color, clarity–that it can be difficult to figure out where to begin. The shape of a diamond is a good place to start, since many people usually have a strong preference for a certain shape. Since its creation in the 1960’s, the Princess Cut diamond continues to grow in popularity, making it the most popular “fancy” (not round) shape. If you are not familiar with the shape of the Princess, it is a square, brilliant cut that features sharp, 90 degree corners. Most jewelry stores refer to these square-shaped gems as “Princess cut,” however, diamonds of this same shape are often called “Square Modified Brilliant Cut” on grading certificates by the GIA or AGS. As if selecting a stone wasn’t already complicated enough, now I’m telling you there are two names for the same shape of stone! 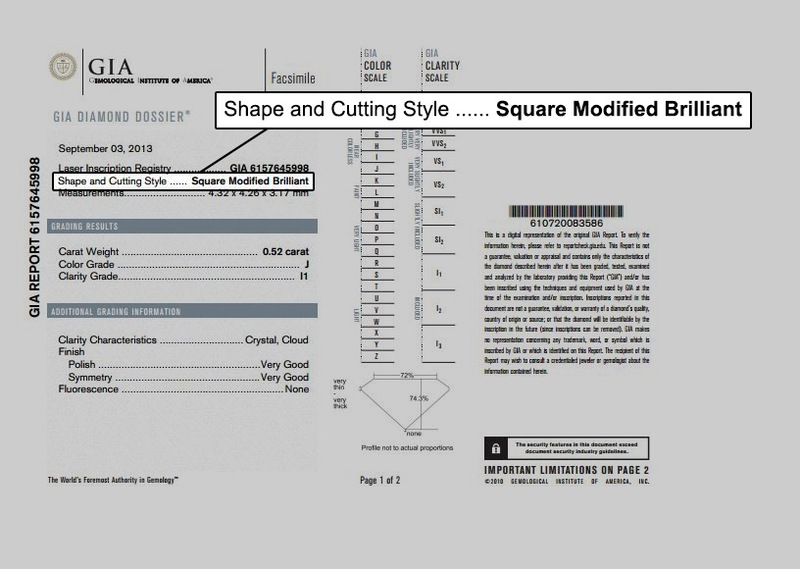 Don’t worry–”Square Modified Brilliant” is merely a technically descriptive term since this shape of diamond combines the brilliance of a round cut with a square or rectangular overall shape. Let me clarify, the term “square” describes the actual shape of the diamond, while the term “modified” lets you know the diamond is not in a traditional “round” shape. The term “brilliant” tells you how the diamond was cut. A “brilliant” cut means the stone was cut using triangular, or brilliant, facets rather than using step-cut facets like those observed in an “Emerald” cut diamond. Basically, the term “Princess” is like the “y’all” of the diamond world–it’s a slang term for the shape of the diamond, while the more proper, scientific term, “Square Modified Brilliant,” is similar to saying “all of you”. The “Princess Cut” name was first used in 1961 by Arpad Nagy, a diamond cutter in London. However, this term overlapped with a similar shape cut during that time period called the “Profile Cut”. 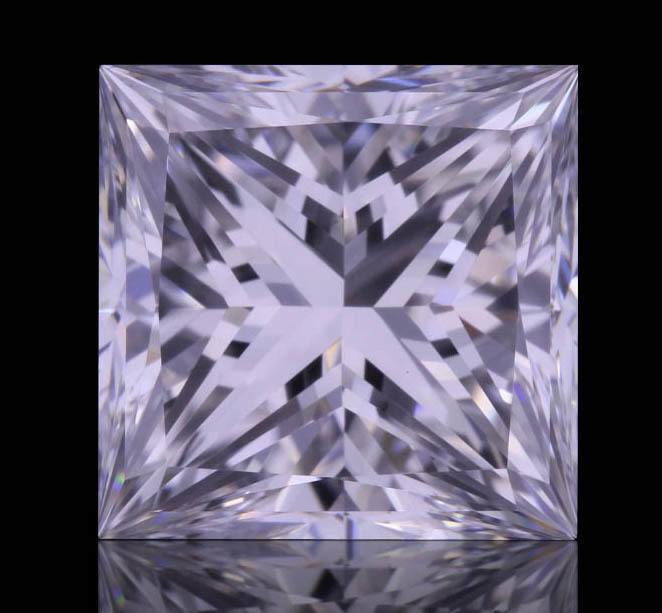 The actual “Princess” cut we think of today wasn’t created until 1980 by its inventors, Betzalel Ambar and Israel Itzkowitz. Second in popularity to the Round Brilliant Cut, the Princess is perfect for someone who loves the fire of the traditional round cut but wants a more modern look. The square shape of the Princess accentuates the “fire” of the diamond, but some brilliance is sacrificed in order to achieve this unique shape. If you’re looking for a stone that will give you the best “bang for your buck,” the Princess is usually slightly cheaper than the round cut because it retains about 65-80% of the rough diamond, while the round retains only about 30-40%. This makes creating a Princess cut more lucrative to produce because a smaller amount of the rough stone needs to be cut away; therefore, two of the same-sized Princess cut diamonds can be cut from the same rough diamond that would be required to create a single round cut diamond. If you decide the Princess cut (or, if you want to be technical, the Square Modified Brilliant cut) is the best shape for you, it is recommended you choose a stone with a minimum color of H-I, clarity of SI1 and a Very Good cut. To shop our collection of princess cut diamonds, visit our online Diamond Search.